Rhenium is a very rare, hard, heavy, silvery metal, which is relatively noble. In nature, it only occurs in compounds in low concentrations, which makes its extraction very laborious and expensive. Rhenium is used as additive in nickel-based superalloys, on which high demands in temperature and durability are made, like in aircraft turbines. 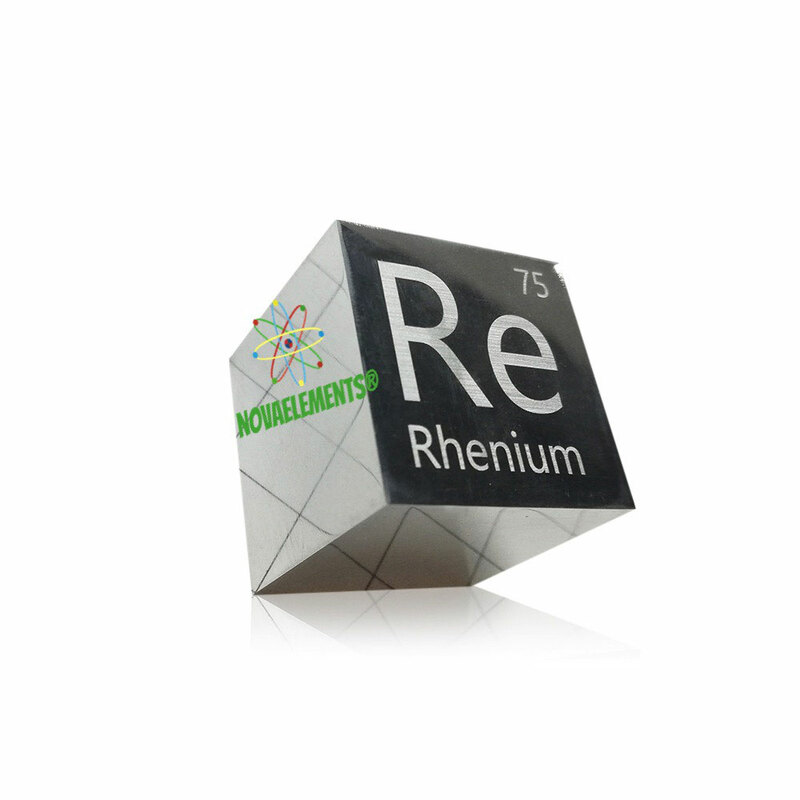 Rhenium was the last stable element to be discovered (in 1925). The most important rhenium source is molybdenite. High purity Rhenium metal element 75 sample. Shiny and solid piece, purity of 99,99%. Sample between 0.5 and 0.8 grams in glass vial with label. Pure element 75 sample Rhenium metal. High purity Rhenium metal cube 99,99%, element 75 sample Re.